Houses Gardens People: Domino Issues Going For Big Money! Domino Issues Going For Big Money! 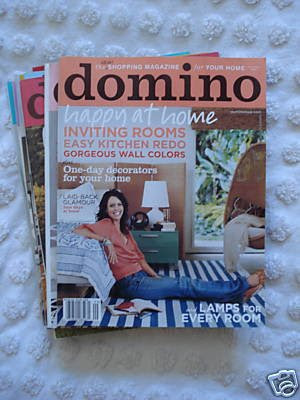 Can you believe that Domino magazine's back issues are gong for big money on eBay? This one just sold for $102! Check out these for sale, already in bidding wars.